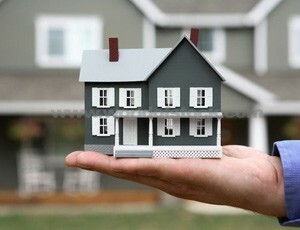 Obtaining insurance for your home in Florida can be very different from obtaining similar coverages in other states. That’s primarily because Florida is the world leader in hurricane risk; a factor that permeates all aspects of Florida property insurance. As a result of the uniqueness of the Florida insurance market, the industry has developed to often require more (and more detailed) inspections when obtaining or properly pricing your insurance policy in Florida. What do Home Insurance Inspections do? Home insurance inspections have several different purposes, one of which is to provide you with peace of mind that your structure is solid and that it is going to stand the test of time. The second purpose is to make sure that it will be approved by the insurance company. Having full coverage on your home is extremely helpful, and you are probably well aware of that. In the even your home is affected by a hurricane, you want to rebuild, but without the materials and the money, you’re probably going to be out of luck. Fortunately, this is precisely what insurance exists, but can you really get it for your home? By arranging for commercial insurance inspections you certainly can, but how do you know you’ve got the right person for the job? Today we’re going to discuss three questions that you should ask the inspector before they move forward with the service. Some of these are common sense, and some are a bit more out there. Either way, it’s critical that you get these assurances before you trust your home and its insurance coverage to anyone. Question #1: How Many Insurance-Related Inspections Have You Completed, and is This your Primary Specialty? Interestingly enough, anyone can obtain a license and perform an inspection so long as they have all of their paperwork in order, but here’s the real question: do they have the authority to really get the job done and push it through at the proper levels? One of the things that we mentioned before is the fact that many insurance companies express reluctance, and they even do so in the face of commercial insurance inspections. Question #2: What license are you using to sign the windstorm inspection form, and how long have you held it? The amount of time that the inspector has spent in the industry is absolutely crucial, though you probably know this. Ask them about their license, ask them how long they’ve held it, and most importantly, ask to see a list of their satisfied clients. It’s going to be a bit of an extra step for you, no doubt, but we will say that it’s absolutely worth it in the end. Question #3: How do I reach you after the inspection is complete if I have questions or concerns next week, next month or even next year? 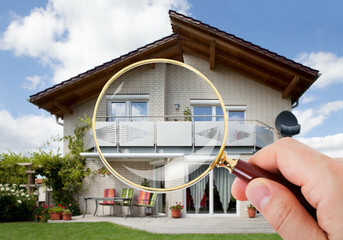 The last thing you want is to have your home inspection completed and then lose touch with the inspector entirely. What if you have questions? What if there are concerns? What if your insurance application didn’t go through in the end? Are there any guarantees? Make sure you have a contact number for the inspector, and most importantly, make sure of these things before you actually hire them to do the job. Getting the right insurance inspection service on your case is vital – make sure you don’t skip out on the fine details, and make sure that the company you choose is well worth the investment. If you’re ready to get the insurance inspection our home needs, and if you’re ready to keep your home safe in the event of weather related issues, give us a call – we’ve got your back and we’ll make sure you’re good to go with the insurance providers.